Sora Bank Responsive Blogger Template Latest Version is best for banking users.Today I have shared free for you.If you want you can also use it for personal blog.this is a Seo friendly and clean responsive banking blogger theme.which is best suited for banking and personal blogs or magazine sites. which provides stories about curated banking news and money, results, admissions, your knowledge, etc. It can also be used in personal website to share your story and idea. Whats New:- This is Free version. Optimized Heading Tag. All in one Seo pack . Perfect choice in websites, with new features, new media widget ready and ads support for advertising ads. 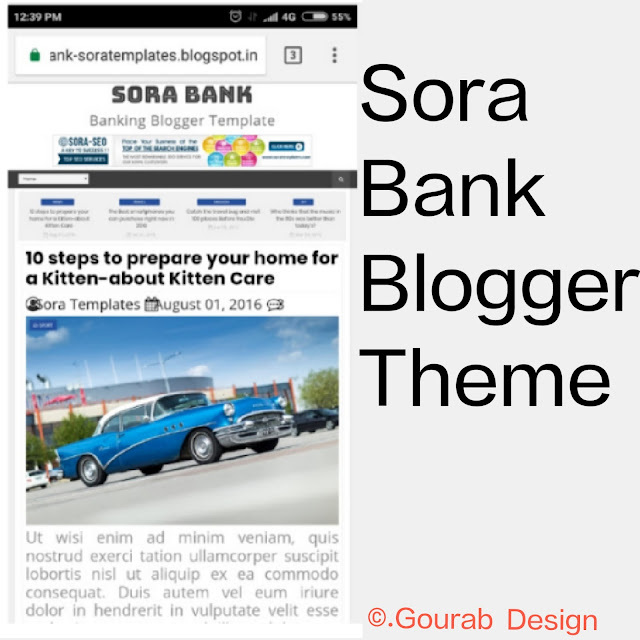 Sora Bank is equipped with various widgets, which will help you publish your blog more professional and great look. You have made a good decision by choosing this. You can check the live demo or download the using the button below.For premium download now.